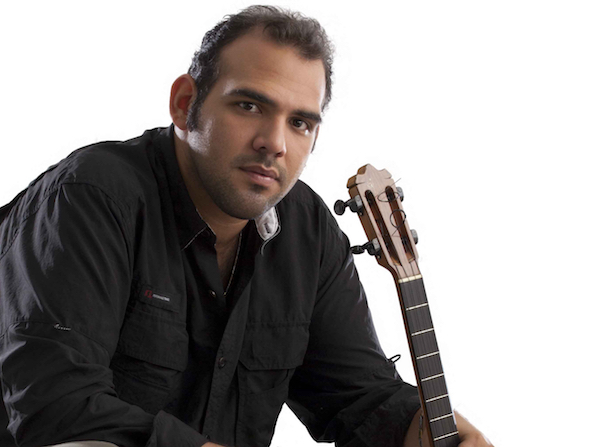 Cuatro and mandolin player, composer and producer, Jorge was born in Cumana, Sucre estate, Venezuela. Jorge Glem (28 august 1982), started his music education when he was 6 years old under renowned Venezuelan professors Eberto Zapata y Alexander Mariña. He studied mandolin under the instruction of professor Ángel Luis Piñero. He has participated and won prices in many national and international festivals and competitions which gave him important recognition. Since 2009 he started his own personal quartet project which didn’t stop him from being a part of other bands such as: C4 Trío, César Orozco: kamarata Jazz, Movida Acústica Urbana, Rock&MAU, Marco Granados, EnCayapa, Alexis Cárdenas Cuarteto, Germán Marcano, Pacho Flores, and Cuatreto. He has played alongside prestigious musicians and he has also accompanied many Venezuelan and international musical groups like the Simon Bolivar Symphony Orchestra, Paquito D’Rivera, Rubén Blades, Jordan Rudess, Edmar Castañeda, Etienne Charles, Caramelos de cianuro, Guaco, Ensamble Gurrufío, Serenata Guayanesa y El Cuarteto. He has played alongside many bands in reputable theaters such as Kennedy Center and Smithsonian Institute in Washington, and the Stern/Perelman-Hall at Carnegie Hall, in New York. In 2011, he performed during the opening act of the Latin Grammy’s Award Ceremony, with Calle 13 and the Simón Bolívar Symphony Orchestra, directed by Maestro Gustavo Dudamel. Glem was also directed by Maestro Dudamel in «Maestra Vida» a show that took place in Caracas in July 2012. Jorge Glem also participated in the Original Soundtrack for the feature film The Liberator, directed by Alberto Arvelo. No Replies to "Jorge Glem Solo"